Attorney and Master in Diffuse Rights from the Pontifical Catholic University of São Paulo (PUC-SP). Global Leader for Young Children by the World Forum Foundation and Executive Leader in Early Childhood Development by the Nucleus Science for Childhood (NCPI). 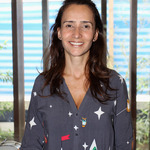 Member of the Advisory Board of the Ombudsman's Office of the Public Defender of São Paulo and member of the Consumer Defense Council of the municipality of São Paulo. Director of advocacy of the Alana Institute. My name is Isabella Henriques. I am a Brazilian lawyer who specializes in Children Rights and Consumer Rights, and I have been advocating for children rights for 12 years. Before that, I worked as a civil litigation lawyer for prominent law firms in Brazil. I am currently the Advocacy Director at Alana Institute, an NGO based in Brazil whose mission is ‘Honoring Children’ https://alana.org.br/. Alana Institute is well-known for the work regarding its programs: Child and Consumerism which discusses the negative impacts of advertising aimed at kids; Absolute Priority, a program that works to enforce the best interests of children; Child and Nature, concerning the importance of nature in the educational process of children; Territory of Play, a program about the importance of free play; and the Brazilian version of Design for Change, "Criativos da Escola", related to the importance for children to be protagonists in their educational process. I believe we are all responsible for what is going on with children in our society, and that we are able to change reality and make it better for them. In my free time, I enjoy going to the beach and playing with my two sons. When I was invited to join the HundrED Academy I was very honored because I admire the impressive work HundrED has been doing around the world and how it has been inspiring young people to become protagonists in their educational journey and in their lives. I believe that people and organizations can make a very powerful and positive difference in others' lives. That's why I want to be part of this amazing group! Education is the beginning of everything in our lives, and when it is properly offered to kids and adolescents it can define their paths and lives. As a person who lives in a country with scandalous inequality rates, I believe that education is the only way to change this situation, thus making it possible for poor people to overcome social barriers and enjoy better lives by realizing their full potential. Education makes it possible for students to flourish because it allows them to explore their potentialities to reach their dreams. Innovation is essential because traditional education no longer fits our current world and lives. Students have the whole world in their mobiles, lots of connectivity tools, and content and information in ways that couldn’t have been thought in the past. Education needs to take all that into account once and for all so that it can be interesting and stimulating again. Design for Change : Design for Change empowers students to be socially aware and proactive change agents in their community. Through undertaking self-directed community projects, children shift their mindset from "can I?" to "I can!" At Alana Institute, we conduct a Brazilian version of this project, and I can see how powerful it is. Skateistan: by using skateboard as a hook, Skateistan provides education to vulnerable children and the youth, mostly girls, in different countries. It helps those students to start to believe they are capable of dealing with difficulties, to empower them and also to constitute a group. Lyfta: it is a media learning experience from Finland that invites children to have immersive experiences with real human stories from around the world. It's a promising example of the application of technology as part of the future in education. Ecoativos https://ecoativos.org.br/ : Creating a local sustainability culture and encouraging students' socio-environmental leadership is the purpose of the EcoAtivos project, which takes classroom and online training to public schools in different regions of the country. Building on Sustainability Education, the project works to raise awareness and knowledge of teachers, managers and the school community for healthy habits and attitudes.